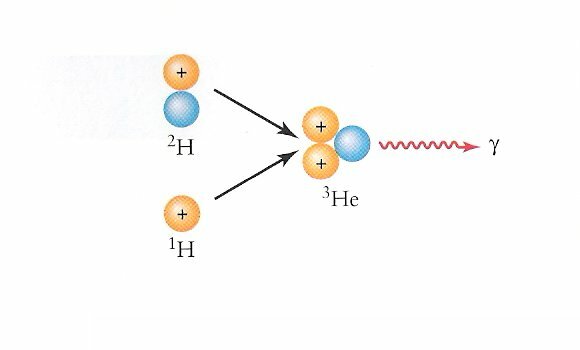 The first step of the Hydrogen fusion process: a nucleus of Deuterium (2H) is formed from two protons with the emission of an antielectron and a neutrino. In the basic Hydrogen fusion cycle, four Hydrogen nuclei (protons) come together to make a Helium nucleus. This is the simple version of the story. There are actually electrons, neutrinos and photons involved that make the fusion of Hydrogen into Helium possible. The important thing to remember is that this fusion cycle releases energy in the core of the star. It is this fusion cycle that generates energy in our Sun. We know of this energy when we feel hot on Summer days! This whole process happens in three steps. There are animations of the three steps below to help you visualize this process! Cool It! is the new card game from the Union of Concerned Scientists that teaches kids about the choices we have when it comes to climate changeand how policy and technology decisions made today will matter. Cool It! is available in our online store.